Many people ask if their insurance or Medicare/Medicaid will cover the cost of an Action Trackchair. Many insurance companies (especially Medicare/Medicaid) do not consider the Action Trackchair a wheelchair but instead label it a recreational device. However, we have had SOME success with private insurance companies, depending on the state in which you reside and your insurance company. These individuals have had some or all of their Action Trackchair covered after a doctor or physical therapist wrote a letter of recommendation deeming the Action Trackchair a QUALITY OF LIFE enhancement. Contact us for tips on working through the insurance process. We are happy to help! After months of Resna testing, the Action Trackchair and Action Trackstander were granted HCPC code K0899 (a Healthcare Common Procedure Code) in early 2015. This medical billing code allows doctors, physical therapists and medical professionals to write prescriptions and claims to insurance companies for the Action Trackchair. We have also found that code K0898-RT (Power Wheelchair not otherwise classified) or E1399 (Durable medical equipment, miscellaneous) have worked better varying by state. If you were injured at work and have a Workman’s Compensation account, check with them to see if you would qualify for an Action Trackchair. Again, using a letter of recommendation from your doctor or therapist could help you obtain an Action Trackchair paid through Workman’s Compensation. If you need a quote to send in for this, please contact our office. This is not a guarantee, but a great resource to try if you are on medicaid and/or have a child under the age of 18, and you/they are enrolled in your state waiver program. Each state calls their program something different, and some states have wait lists, but we have seen success in multiple cases with funding through waiver programs. If you don’t find yourself fitting into any of the funding options above and are still interested in getting an Action Trackchair, the most common and popular way of funding with our clients has been fundraising events. This has been highly successful and is a great way to get family, friends, and your local community involved – People want to help! We have had great success in getting local Rod & Gun clubs, organizations, and businesses involved in helping get individuals in their community the pieces of equipment or funding that they need through donations for silent auction, etc at a fundraising event. For some ideas on how to have a successful fundraiser, please don’t hesitate to contact your local Action Trackchair dealer, or our main office, almost all of us have helped a family in the fundraising process. We would love to help you get started. THE ACTION TRACKCHAIR CAN ALLOW YOU TO GET BACK TO WORK! Most states have a DVR department, otherwise know as the Department of Vocational Rehabilitation. The purpose for this department is to get individuals back into a work environment. Many Action Trackchairs have been purchased by state departments of Vocational Rehab to assist in getting individuals back into the workplace. If you feel that you could use an Action Trackchair to get back to a prior occupation, or get into a new career path, get in contact with your local Action Trackchair dealer, or your local Vocational Rehab representative, and they can help you go through the process. This is not a guaranteed process, but it is definitely a fantastic resource for those looking to get back into work. 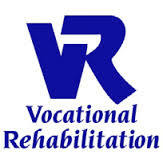 For more information on your states’ Vocational Rehabilitation Program, please click on the provided links below, or contact us and we can get you heading in the right direction! If you are an individual who would like to use an Action Trackchair or Action Trackstander for agricultural purposes, an Agstar loan or funding assistance through Agrability are two options. 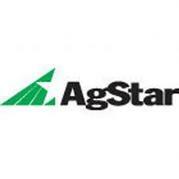 Agstar loans money at lower interest rates to qualifying individuals. Many states have an Agrability Chapter, which would be operated through your state’s college system. Many of the chapters in our Distributorship are very familiar with the Trackchair and are willing to work with you. 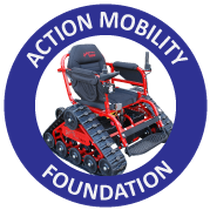 Action Mobility Foundation is a non-profit 501(c)3 that was formed in February 2015. AMF works within the disabled community providing charitable grants to assist with financially with his mobility needs. These grants help provide the Action Trackchair and Action Trackstander to individuals who have limited mobility due to paralysis, spinal cord injury, disease and other conditions that prevent full mobility. These grants are based on financial need, and are awarded for PARTIAL payment of an Action Trackchair or Action Trackstander. If you receive a grant from AMF, it is held in escrow and you have one year to obtain the remaining funds and place the order for your Trackchair or Trackstander. We have been honored to deliver the gift of an Action Trackchair to hundreds of our nation’s wounded warriors over the past years. We work closely with foundations that are providing Action Trackchairs for veterans from all eras and conflicts. Each group has a different application process and approval criteria. 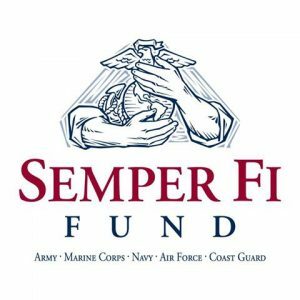 If you are a veteran that was injured in combat in a warzone or past conflict, or have an injury or disability related to your time serving our country, please get in contact with our office and we can get you on the path to applying with the foundation that best fits your current situation. We cannot guarantee approval, but there are so many willing to help our nation’s wounded veterans get what they need to enjoy their daily lives. Some of these foundations are also able to help veterans that have disabilities and injuries that are NOT related to their time in the military. If you are a veteran facing this issue, please do not hesitate to contact us and we will do our best to get you in touch with the proper foundation(s). As seen on The Factor with Bill O’Reilly, and on Fox News, Independence Fund’s Mobility Program has been providing disabled veterans the chance to get back outside and enjoy the outdoors through Action Trackchairs and other mobility devices! 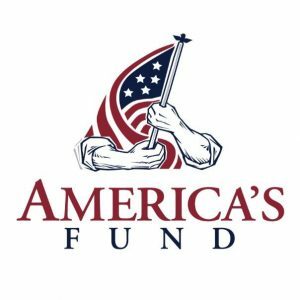 The Independence Fund assists with all eras. 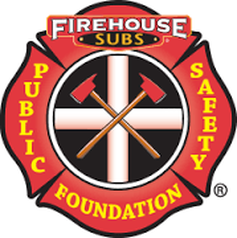 Firehouse Subs Public Safety Foundation was founded in 2005 in the aftermath of Hurricane Katrina. Firehouse Subs Public Safety Foundation is dedicated to improving the life-saving capabilities and the lives of local heroes and their communities. They have provided Action Trackchairs to veterans and first responders ​injured in the line of duty.